The literature minor may focus on a particular topic, historical period, or genre such as the novel, short story, play, poetry or nonfiction. 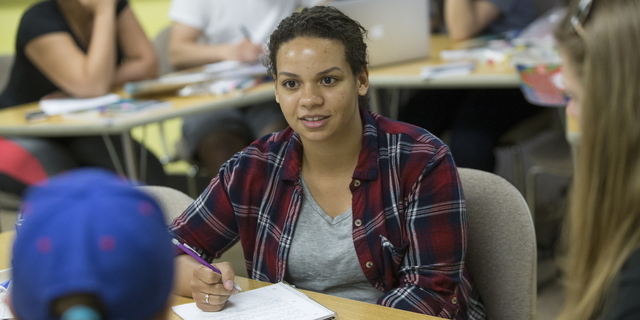 The linguistics minor may include a range of topics offered in the department, or it may focus on the interdisciplinary minor in Cognitive Studies (see Catalog index). The professional communication minor in participation with the Department of Communication. The comparative literature minor in participation with Department of Foreign Languages and Literatures. A concentration in Medieval Studies exploring the literary roots and early languages of present-day Britain and Europe is also available. View English Program Minor Requirements in Undergraduate Catalog.